Probably Goa is that place which is in every traveller’s travel list. Once a hippie trail, Goa is now a world famous holiday destination. Visit Goa and enjoy every little aspect of the state. 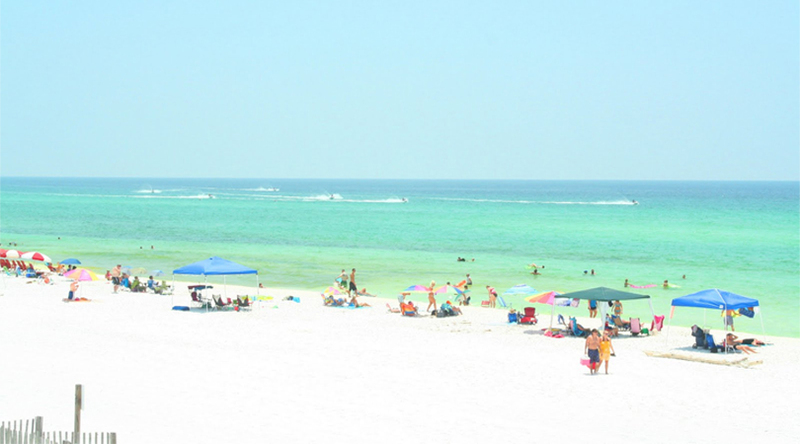 Here is a brief description of the beaches. Known for fun-filled life, sea beaches and seafood, Goa is frequented by a large number of tourists every year. Maybe it is the only place in India, which is an open minded one in terms of clothes and mentality. Goa is not only for young adults or a place of holidaying only with friends, it is for all. There are several options for an individual to spend a relaxing as well as lively holiday on the beaches of Goa. Goa experiences a moderate climate throughout the year. Foreigners throng here to soak in the sun and get tan. Though the ambience of the beaches is different, but all offers a place to just relax facing the waters and indulge some delicious seafood. A trip to Goa is always a memorable one. It is the place to chill out. Just forget about your daily busy schedule and soak in the Goan culture. The unique mix of Portuguese and Indian culture is a delight to witness. Until 1961, this land was under the Portuguese rule and the evidence of their existence is still prominent. Goa has well-maintained its cultural heritages. Basilica de Bom Jesus, Fort Aguada, Church of St Francis Assisi, Chapora Fort, Viceroy’s Arch are some of the historical attractions to explore in Goa. Besides, these monuments, beaches are always in the list of priorities. 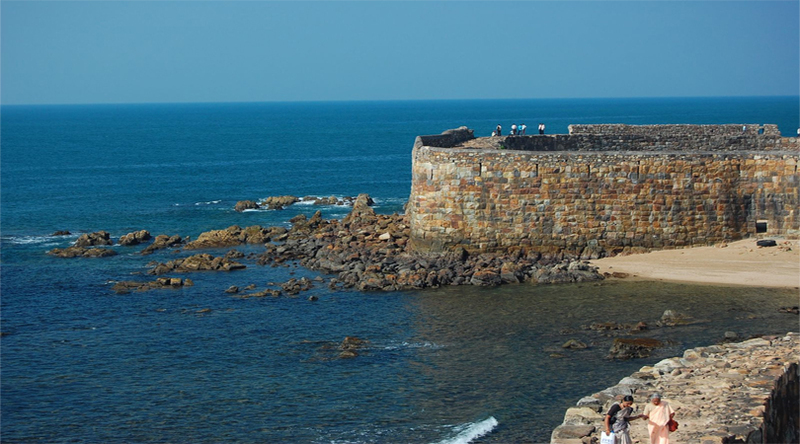 Goa offers a delightful tour to some of the most exotic beaches of the country. 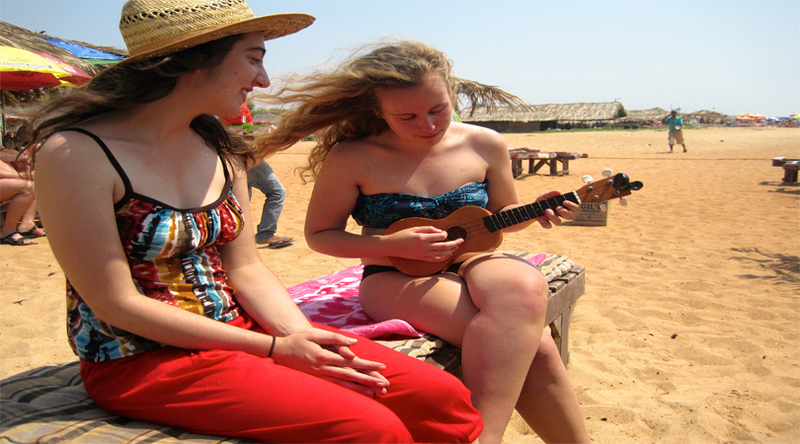 Start your tour from Calangute Beach. There are several hotels in Goa, you can choose according to your budget. Calangute is a colourful beach town with the largest and the most commercial beach of Goa. It is certainly not for them who like fewer people. Calangute is crowded almost throughout the day. Well, the early morning visit to the beach can comparatively give you a relaxing feel otherwise, Calangute is always lively and vibrant, filled with hippies and foreign holidaymakers, it is also famous for its night parties. The shacks and picturesque huts are a treat to the eye. Baga beach has a unique charm. With good food, good crowd, good music and good service, Baga beach is an all time favourite beaches for the holiday-maker Titos Lane is a great place for a calm and quite night walking and Britos is a perfect place to enjoy the Pub culture in Goa. One of the most happening places of North Goa, Baga beach is scoring more than any place of Goa. Candolim beach is known for its water sports activities. 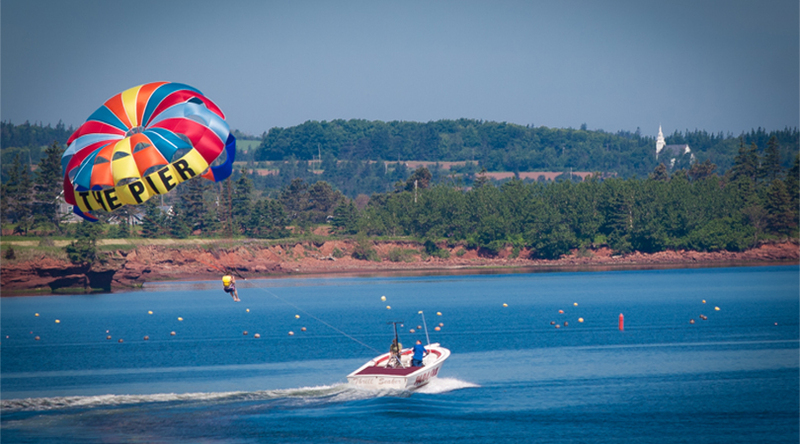 Parasailing, water-skiing, windsurfing and fishing are frequently enjoyed by most of the travellers. Candolim is less crowded and provided some good bars and restaurant to cherish the authentic Goan cuisine. Do not forget to try the culinary drink of feni made with coconut and cashew. Known for nightlife and party culture, Anjuna beach is also famous for the Wednesday flea market. With various events occurring throughout the year, Anjuna beach is the coolest one. German Bakery is a perfect place to try some delicacies. You can visit Goa anytime of the year. Try to avoid monsoon as watersports are mostly paused during this season. However, winters are always a great time to enjoy Goa especially during Christmas and New Year.